"Have nothing in your house that you do not know to be useful, or believe to be beautiful," a nineteenth-century English writer once advised. The idea of reducing clutter in our lives and living spaces is timeless wisdom in any century. For the modern organization that finds itself burdened by vast amounts of documents and data, moving to a new Knowledge Management System (KMS) can be the ideal moment to apply the logic of efficient housekeeping to the office. Organizations hold on to documents for a variety of sensible reasons. Many documents contain information that is essential to the smooth operation of the company. Some provide a context for decisions that have been made by key personnel. Other types of documents must be retained to satisfy legal and regulatory mandates. Yet beyond this well-defined collection of necessary documents is a larger group of reports, memos, notes, charts and early drafts that have lingered well past their expiration dates. Such obsolete documents add only inertia and risk to an organization: reducing efficiency and increasing the chance that sensitive documents may find their way to unauthorized individuals or the public due to confusion and ineffectual enforcement. 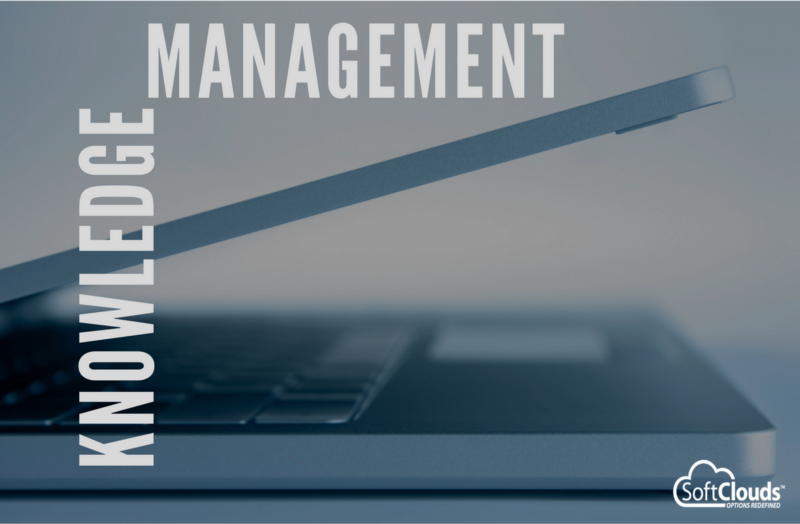 An effective knowledge management system can reduce the clutter and the risks. The larger an organization becomes, the more critical is the need. When work groups are small, content management is a casual process, governed mostly by the rules of common sense. Ideas and folders are easily shared across work desks, conference room tables and cups of coffee. Most employees have a sense of the assigned responsibilities and projects of their colleagues. The problems begin when the organization outgrows this stage, and the distances between people and departments increase. At that point, the old ways begin to fail. Soon duplicate versions of documents start to emerge; redundant content spreads across the knowledge base (KB). Without organization-wide standards for classification, information is lost, misfiled or hard to find. In response to the growing disorder, employees start copying the shared content to their local drives to build their own knowledge bases, allowing them to avoid navigating the immensity of the common folder. This is the tipping point. Structure and discipline are now desperately needed; it is time to move to a modern KMS. The choice of a new KMS is just the first important decision that needs to be made. Following that, there are questions about how the KMS should be configured, which features should be activated and in what way. There is also the vision component that requires considerable focus and discussion: for example, what specific problem the new KMS is being brought in to resolve, who would be the audience of the new KB, how the project should be implemented and what should happen during the transition period. In all of this, there is one key question that is often overlooked: What kinds of content should be migrated into the new KB? The easiest path is to assume that everything should be moved over so as not to lose any valuable content. However, that almost always means moving all of the flaws of the old system into the new one. With the old flaws, one opens the door to the old bad habits and old process failures, as well as the low find-ability rates. A way to avoid repeating the past mistakes is to be very judicious about deciding which content should be retained. This requires a content audit, which is best performed by the business during the preliminary stages of the project. Subject Matter Experts would be the most qualified members of the team to go through and evaluate the content (whether the entire content or a representative sample). The audit would focus on both general and specific issues. What kinds of documents have been created under the current system? Given the requirements around the new KMS, what types of content would be needed going forward? Given the types of documents that ought not to be migrated, what can be concluded about the current content creation practices? Is the document still valid; is it informative; and does it serve a purpose? Is it the most current, or the most valid version of the document? What is the business value that this document fulfills? Who is the intended audience of this document? Is it duplicated as a whole or in part? Is the information available elsewhere, perhaps with another product? A common strategy for organizations at this juncture is to move all stable and well-structured content, such as manuals, forms and policies, to the new system. As long as the service, product, or process being addressed in the document is still valid, the content is likely to be valid as well (if it is a current version). In this process it is helpful to make a list of crucial documents. Focusing on a relatively short list of such documents allows organizations to avoid duplicates and pick the documents that are consistent with the standards established for the new KMS. The content type that should receive a more critical eye with respect to migration would be the free-form material that is often reactive in nature, such as troubleshooting documents, tips, FAQs and proposed solutions to specific issues. Once the information overgrowth is pruned, it is equally important to ensure that the new KMS includes effective mechanisms for classifying and providing easy access to the next generation of documents the organization will soon create. The implementation of a strong KMS can significantly advance the goal of creating and preserving a rich knowledge base for the long term. Have you implemented a KMS? Has it been effective at providing easier access to content, streamlining operations, and reducing disorder and risk? Perhaps there are lessons that you learned during the process, such as the importance of maximizing employee input in order to identify areas in need of improvement. Just as the benefits of a KMS will be shared by all, creating the new system can also become an exciting common goal for everyone in your organization. Do you have a KMS in your Organization ? Do you think you have configured it right and using it in an optimized fashion ? This post was written by Murat Kural — Practice Manager of the Oracle Knowledge Management (OKM) practice at SoftClouds. He has executed many successful Global OKM Implementations and is a recognized leader in the knowledge industry for his expertise in search, dictionary management, and knowledge management. Prior to SoftClouds, he spent a number of years teaching linguistics at UC Irvine. Murat has KCS certification and holds a PhD degree in Linguistics from UCLA.